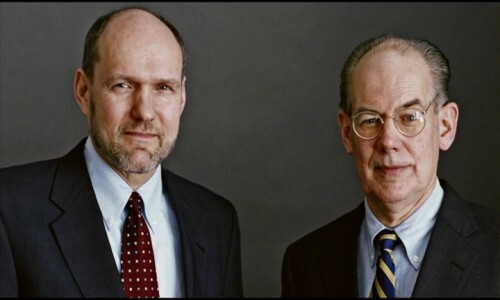 The publication by the London Review of Books of John Mearsheimer and Stephen Walt’s The Israel Lobby on 23 March 2006 had a major impact. Their argument was quite simple. The United States had been following a policy of support for Israel in the Middle despite, not because of, its interests. Alexander Haig’s aphorism that support for Israel was cheap at the price, that it was an unsinkable aircraft carrier, held no sway. The Israel Lobby that had successfully corralled and intimidated US politicians into supporting Israeli interests and those, like Republican Senator Charles Percy of Illinois who had shown signs of independent think had been quickly put to the sword electorally. Walt and Mearsheimer went to great lengths in the book to distance themselves from any hint of anti-Semitism. On the contrary they emphasised that the Lobby was not representative of US Jews, that the latter were less pro-war than the rest of the White population and that in any case the most important component of this lobby was the Christian Zionist movement of Pat Robertson and Jerry Falwell. It was a classic example of ‘tail wagging the dog’ and from the start it had the whiff of a conspiracy theory about it. Why should the United States allow itself to be led by a tiny country like Israel? As Noam Chomsky pointed out in The Israel Lobby? (March 28, 2006) the problem with the thesis was that it made no comparisons with US behaviour in other parts of the world. In 1965 the United States was actively complicit in the murder of up to a million communists by General Suharto in Indonesia. In 1967 Israel destroyed the main figurehead of Arab nationalism, Col. Nasser of Egypt. In addition throughout the this period we had the application of the Monroe doctrine in Central and South America with the Brazilian army dictatorship, Pinochet in Chile, the Argentinian Junta and the murderous wars in El Salvador and Nicaragua. To make no mention of the ‘war for freedom’ (of US multinationals) in other parts of the world is a curious omission that in itself destroys a major part of the Mearsheimer thesis, that the US’s interests lie in accommodating to Arab politicians in order to safeguard the supply of oil. They also failed to show why it was that the powerful US military-industrial complex that Eisenhower spoke about had failed to protest about this apparently absurd and self-defeating US foreign policy. After all isn’t the whole point of any foreign policy in the capitalist age to defend one’s interests (albeit that the rhetoric of the ‘fight for democracy’ is ever present. But as well-known Professors of Political Science and International Relations at Chicago University, conservative or ‘realists’ as they argued (realism can be translated as amorality) no one expects them to have a radical or leftist agenda and it was precisely for that reason that their essay, and the follow-up book made such an impression. For sure they were attacked in the usual manner, as ‘anti-Semites’ but the American establishment protects its own and no threat to either individual, unlike Norman Finkelstein, ever materialised. Atzmon could not be clearer. It is ‘irrelevant’ if the Protocols are a forgery. What they say is ‘entirely self-evidential’ i.e. true. If you would be hard put to find a distinction between the two attitudes then that is because there is very little between Atzmon’s view of the Protocols and Hitler’s. At best, Atzmon says it is irrelevant if they are a forgery, because they are true in any case. Hitler merely says that the fact they are true is in itself proof they aren’t a forgery. Or as Oscar Wilde noted, it is a difference without a distinction. Even The Times, a mere 90 years ago, hardly a progressive paper then or now, carried a 3-part series by Phillip Graves demonstrating that the Protocols were a crude forgery. It was clear that whatever other faults that attached to this essay, no fair minded person could accuse them of being anti-Semitic. Which is not to say that the Zionists performed their regular acrobatics in trying to prove that the sun moved around the Earth. It is of course possible that there is no decision-making process at all. It is more than likely that ‘Jews’ do not have a centre or headquarters. It is more than likely that they aren’t aware of their particular role within the entire system, the way an organ is not aware of its role within the complexity of the organism.14 No single operator within the collective is fully familiar with the collective’s operative mode but is only aware of his or her personal and limited role, function or duties within it. This is probably the Zionist movement’s greatest strength. It transformed the Jewish tribal mode into a collective functioning system. Leaving aside the comparison of Jews collectively with an organism, we are told that there is in effect an unconscious conspiracy. Is that different to how Hitler argued in the above quote? In his Credit Crunch or Zio Punch? 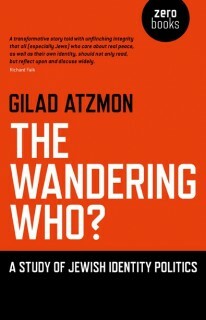 Atzmon ascribes both war and economic crisis to Jewish duo – Wolfowitz and Greenspan. To be sure they were powerful individual figures, but there was nothing specifically Jewish about their politics, they were neo-conservatives. They played no part in the sub-prime mortgage disaster and the phenomenon of the toxic investments. Why single out these two amongst many? Of course this is compounded by the general ignorance of Walt and Mearsheimer regarding Zionism, so that they take Atzmon’s interpretation as the holy gospel. His reading of Zionist history is a travesty, which is unsurprising since Atzmon has adopted a Zionist analysis. On the contrary he has repeatedly stated that anti-Zionist is irrelevant and sent me an e-mail recently making it clear that he was pro-Palestinian not anti-Zionist. The problem is that you can’t be one without the other. Zionism was the cause of Palestinian dispossession and to pretend that one can ignore it is to ignore the reasons for expansion and the quest for Jewish racial purity in Israel. One is tempted to say that if Atzmon had read, not the myths of Zionist at his grandfather’s knee but Jacques Kornbergs article in the Journal of Modern History June 1980 ‘Herzl a Re-evaluation’ or Desmond Stewart’s clinical dissection of the Herzl myth in his acclaimed biography ‘Herzl - Artist & Politician’ Anyone at all familiar with the Dreyfuss Affair knows that virtually no one at first believed Dreyfuss’s protestations of innocence. The Jewish community considered him a traitor and Herzl displayed no such qualms. The foremost defender of Dreyfuss, Bernard Lazarre, who broke with Herzl precisely over this issue and Herzl’s accommodation to anti-Semitism, took nearly 2 years to write his pamphlet defending Dreyfuss. But let this pass. Shylock was not only depicted the role of Jews within the economy of medieval Europe but Shakespeare also makes him into a human with feelings and pain. Dickens can be accused of anti-Semitism, probably correctly, though we should remember that despite his reputation he was also avidly pro-imperialist and supported Governor Eyre of Jamaica who murdered and executed those involved in a rebellion against British imperialism. But Israel is a continuum of the role of Jews, as depicted? What is this if not playing into the hands of anti-Semites? Was white Rhodesia and South Africa a continuum or Australia and the United States? So these are the profound insights that Mearsheimer has come to applaud? Those of a common and garden racist whose understanding of Jewish identity, always problematic given the way it has changed, is confined to matzo balls and chicken soup? Even Atzmon is not stupid enough to deny the holocaust in his own book. But his views are quite clear. Apparently Atzmon believes the ‘truth’ of the holocaust to be contestable. Or his ‘Purim Special - From Esther to AIPAC’ where he writes complaining that holocaust revisionists (deniers) are denied a fair hearing because ‘Most of the scholars, if not all of them, do not challenge the Zionist narrative, namely Nazi Judeocide, yet, more than a few are critical of the way Jewish and Zionist institutes employ the Holocaust…. no one goes as far as revisionism, not a single Holocaust religion scholar dares engage in a dialogue with the so-called 'deniers' to discuss their vision of the events or any other revisionist scholarship’. This despite the fact that ‘…. Holocaust religion was well established a long time before the Final Solution (1942)…. The Holocaust religion is probably as old as the Jews.’ It probably has not occurred to Atzmon that Einstein, despite his tolerant attitude, didn’t see the point of discussing the flat earth theory with its advocates either. Yet what Atzmon does is not new. Arch Zionist Daniel Goldhagen attributed the holocaust to the wickedness and cruelty of Germans in ‘Hitler’s Willing Executioners’. Atzmon attributes the sins of Zionism and Israel to the Jews as Jews. The people differ, the methodology is the same. Yet Mearsheimer could have reflected on the wisdom of what he wrote and had a second thoughts. There is no crime in admitting to getting things wrong. Instead he persists in asserting on the basis of an ambivalent quote in the book, that Atzmon is no holocaust denier. But the quote does not say that Atzmon accepts, the actualite of the holocaust. Rather it describes the impression on him as derived from his parents and society. Certainly he mentions the numbers tatooed on the arms of ex-inmates but that doesn’t prove the Zionist ‘narrative’ of the gas chambers. Here Mearsheimer is simply ignorant. The Jewish boycott of Nazi Germany, far from having negative consequences, led to the planned SA siege of Jewish shops being confined to one day, April 1 1933 rather than an indefinite boycott. What broke the boycott was the trade agreement signed between Nazi Germany and the Zionist Organisation. What Mearsheimer has done is to totally discredit both himself and Walt’s thesis. In endorsing Atzmon they have endorsed the very charges that were levelled against them by the Zionists, i.e. that they are anti-Semitic. And this for a book that is derivative, mainly a combination of previous Atzmon essays knitted together and derivative in place of original. 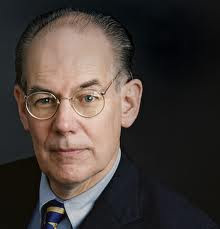 Whether Walt and Mearsheimer think the destruction of their reputations is a price worth paying will no doubt be for others to judge. Tony - you said this: "since Atzmon has adopted an anti-Zionist analysis". I think you mean he has adopted a zionist analysis or he hasn't adopted an anti-zionist analysis. mmmm tony'le I see the book and those who recomend it (there will be more and more in the near future), keeps you busy. It want help you, as the truth is known and the book will be spread..... and u tony'le will watch the wave and get drowned in your tribal agony. Mark - done it! Time of night or morning rather. Silly mistake accusing Atzmon of Zionism. Atzmon - is there any reason why you don't just add your name to a post? Being democratic I post them but some people may not realise that it is you and surely you've not become shy? No you're book is bringing to the surface those who are friends and those who are enemies of the Palestinians, including collaborators. It is extremely interesting. I never went a bundle on Mersheimer but until now the accusation of tolerating anti-Semitism was unfair. No longer I'm afraid. I don't think any of us will be drowned by a book. You have what is called an over inflated ego as well as a certain narcissism. Tony. I'm beginning to worry about your ability to be logical as you battle with your hatred of Atzmon. Your arguments really do not hold together. It seems to me from your accounts of Atzmon's remarks about eg the Hollocaust that he's not really entering a discussion of 'whether it did or didn't happen' but is simply saying the facts are irrelevant to the present situation, which is to do with the Zionist-powered actions of Israel. I do get lost in your lengthy condemnations of what he says - and I do say this having never read anything of Atzmon's direct, only the extracts you've presented us with. I really am immensely reluctant to dismiss what you say, Tony, because you do an immense amount of good work in the quest to get Israel to behave decently. But you do seem, to me, to get carried away in your anger. And it shows for instance in your rather frequent missing-out of words. and for example your CONSTANT spelling of 'Mersheimer' - why do you do that, you do know how his name is spelled? It has the effect of dismissing what he says - rather like if someone constantly referred to you as 'Grenstein' - I hope you can see my meaning. Apart from which, I really can't dismiss Mearsheimer and Walt the way you do - I think they were brave to speak out as they did about the US AAIPAC lobby and I can't think why you feel compelled to dismiss them - indeed to ignore what Mearsheimer HAS written, undogmatically, regarding Atzmon, rather than read more carefully what he's actually written. I don't want to go about this, for as I say I genuinely admire and appreciate your work otherwise. But I really am unaware that Atzmon has the amount of influence over Jewish and Israeli issues to warrant your determined floor-wiping of him. OK, wipe the floor with me now if you want. But I'm relaying to you my reactions on reading your LENGTHY writings on this. I wouldn't worry. Spelling mistakes are an obsession of the pedantic! But I've corrected the misspellings which are more the result of posting in the early morning. I don't know why you think I have hatred of Atzmon. I don't. It's not personal but political! No Atzmon isn't simply saying the Holocaust is irrelevant to the present situation, though clearly it isn't, for the Zionists. He's saying something different which is that there is an equally valid view that there was no holocaust as we know it. You say you get lost in my lengthy condemnations of what Atzmon says then you should read some things of his. I would suggest just 2 essays or maybe 3 - 'on anti-Semitism' 'not in my name' and 'truth, history and integrity'. I think you will then see where I'm coming from and the excerpts will make more sense. You say I am getting carried away in anger. Not true, if I'm impatient it is because many people do not see what is in front of their noses, but I put that down to Zionist accusations of anti-Semitism which are false. Spelling aside, M&W may be brave to speak out against Aipac, actually not half as brave as those who went in to heckle Netanyahu. They are tenured professors and members of the academic establishment. I think Mearsheimer's blurb, which I've certain read carefully, is appalling. If he read the book then he should understand enough not to praise it. If he didn't and didn't inquire into his background then he is a fool. I agree that Atzmon doesn't have any influence over Jewish and Israeli issues. What he can do is to derail and depoliticise the Palestine solidarity movement so that it turns inwards and becomes racialised, losing any anti-colonial analysis. Hence his opposition to BDS.